At least 200 confidential files, including presidential speeches, were found on an abandoned computer used by Choi Soon-sil, the confidante of President Park Geun-hye allegedly involved in a widening corruption scandal, a cable TV channel reported late Monday. Choi is not a government official or civil servant, and her whereabouts is unknown. If the documents are genuine, Park is likely to face a major crisis over violations of related security laws and involving her personal confidante in state affairs. The files on Choi’s computer are mostly documents sent from Cheong Wa Dae, including drafts of speeches by Park. It appears the 60-year-old Choi received the draft versions for presidential addresses, up to three days before the speeches were to be delivered. Evidence of editing was also found, according to the Monday report by JTBC, a cable TV channel which broke the story. 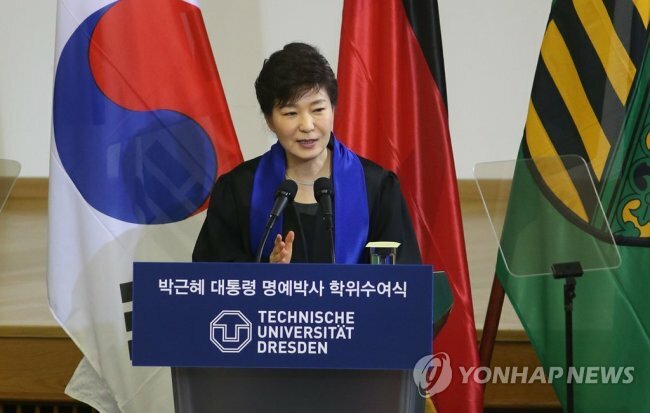 The discovery came a week after JTBC first reported that Choi edited President Park’s speeches in advance. The report touched off a strong dispute as Choi, who holds no public office, should not be given any access to confidential presidential documents. The drafts of presidential speeches are not thought to be accessible even to Cheong Wa Dae officials, except for a very small number of close aides to Park. Lee is now under fire for making the feudal state comment that appears to be contradicted by the evidence on Choi’s computer. Cheong Wa Dae cut off communications with reporters shortly after the story of Choi’s PC surfaced, repeating the perfunctory message that it was checking the facts, fueling speculation about the authenticity of the documents. A reporter from JTBC obtained Choi’s computer near her office before it was destroyed. Choi is rumored to have masterminded the establishment of the Mir Foundation and K-Sports Foundation -- both of which are at the center of an unfolding corruption scandal. Choi is suspected to have pushed chaebol groups and their lobbying organization to donate to the foundations. Choi’s daughter, named Chung Yu-ra, recently came under a firestorm of criticism for getting special favors from Ewha Womans University, including special admission and generous handling of her academic records, even though she missed most of the classes. Taking responsibility for the Chung Yu-ra scandal, Ewha’s president resigned last Wednesday while professors and students staged a massive protest rally.